Get access to any photos, videos or audio files sent through Facebook chat and saved on the target phone. All Facebook chat conversations are uploaded to your online TheTruthSpy control panel which you can access from anywhere with an internet connection. The spy phone app has a very brilliant feature that lets you to spy on the software you can view the Facebook chats, a conversation that has been taken place on the target phone. With the help of this feature, you can spy Facebook Messages very easily this feature allows you to view all the chats that have been done by the target person. You can get all the details of the person with whom you are chatting with such as name you can know the Facebook I’d of the person. You can get the date and time so that you can get the information about when this conversation has taken place. You can get access to your photos, all the videos that are shared or received through Facebook chats and save all that is there on the personal phone. All the conversation will be uploaded to you online, and you can get all the information from the control panel, and you can access it from anywhere just you need to have an Internet connection. Facebook Spy TheTruthSpy helps you to spy Facebook Messages that are sent from the android phone. The entire text message that was done by the user will be saved as chats on the target phone. The target phone will help you to get all the information of both incoming and incoming message. This Spy ware also helps you to save all the audio and video files that your Facebook chats consists off So that you can spy Facebook Messages very easily. If the target person uses photos, audio and videos in her or his conversation then all these files will be saved on the spy phone app. And you can view the panel from, and the device just makes sure that you have an internet connection. Not only Facebook Messages this also allows you to save all the entire conversation saving Facebook messages, but spy Facebook messages also allow you to save all the conversation that is done on the Facebook. The device must be rooted to save Facebook messages. If the spy phone software is installed in your phone with root right then saving all the messages is performed automatically, and there will be no need for any type of additional setting. Why Spy Facebook Messages are useful? It is more difficult to find a person who is not using Facebook. Your employees and Childers are not exceptions. This feature helps you to read all the messages that are done or received by the target person on Facebook. And with the help of this feature, you can know all the information just by browsing the conversation threads. You can read all the messages. View all the images and listen all the audio that is being exchanged by the user. This is the very important tool as it helps you to know who much time your child is spending on Facebook chatting with her friends. This may distract your children’s from studies. Many a time’s employees waste their time chatting with their friends and family members instead of working. Therefore with the help of spy phone app, you can keep a track on your employees as well. As we all know text message is still incredible and very popular among the users. There are many people who use Facebook as a medium of communication and exchange dozen of messages per day. These tendencies of people are not Calendar these days. So viewing these messages are very valuable as they help you to know all the information and help you to clear your doubts. With the help of spy Facebook Messages, you can see all the messages that were received or send using the Facebook application. You can get all the text information besides these you can also get pictures. Videos and audios file that was shared in the conversation This opportunity is the best in case you are spying on your children’s as it will help you to know with whom your kids are talking as know they are safe or not. As we all know that 21 century, requires having more innovative approaches with the help of spy phone app is the best as it allows you to spy on spy Facebook message. If you want to know the best way to spy on text message of your kids, then the best message is through spy phone app. What the features are of Facebook Messenger Spy? With the help of spy Facebook messages, you get all the information of all the conversation that is done by the target person using his Facebook account you can get all the messages that are done or are received by the person while doing the conversion. 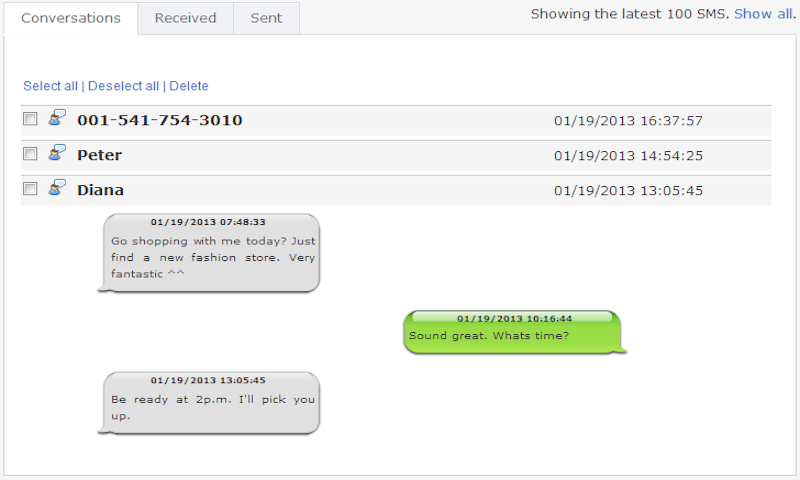 You can easily get all the details of the message and the conversation of the text message that is done on the Facebook. It helps you to give all the details such as date and time. You can get the details of the person such as name id on Facebook. No root required-it is not necessary the phone has to root you will not require any type of MAC password that is you will get all the things automatically. You do not have to get into the trouble of finding them. With the help of spy phone app all the Facebook messages all the pictures, videos and all the audio files that are shared by the person or received by the person. You can easily get all that you need to have the Facebook. Even the likes and comment that is done by the target person will also be visible to you on the control panel of the spy phone app. GPS Tracker– This is one of the most important features that is provided by the spy phone app this feature allows you to tack the location of the person that is you can know the real position of the person that is the place where the person is. You can get the location of the person on the map so that there is no difficulty in finding the exact location of the person. There are many companies that are which help you in delivering the goods so in such a situation there is possibility that you can keep a track on the workers who are delivering the goods. So that if there is any late in delivering the goods then you, can find the position of the worker as well as the reason for them to be late. SMS Spy– This is the best feature that is provided by the spy phone app. As this app helps you to track all the text messages that are being done by the person or messages that are being received by the person. This feature considered the best as all the details such as the date and times of the message received or send. If you feel that your children’s are always busy chatting to their friends then in such a situation they will not be able to concentrate on their studies. Therefore keeping a spy can help you to know with who they are chatting to and what they are chatting even late night chatting can also be avoided. Spy Call– This is one of the best ways through which we can get all the information of the calls. This app helps you to get all the information of the received as well as dialed calls. All the phone calls recordings weather the phone call is being received or dialed. You can easily get all the recordings of the calls from both the. Even the time and date of the calls are provided to you. A phone call spying is the best way through which you can clear all your doubts. With the help of this app, you can spy on your partner’s phone and know whether he is cheating on you or not. Call Recording– This feature allows you to get all the recordings of the calls that are being received or calls. You can get all the recording without any cuts the voice in the call spy are very clear. You can also listen to all the phone calls in the real time. This is the best feature that allows you in keeping a track on all the calls such as voice calls or any video calls all the recording will be available to you. Even the call recordings on the social messengers are also available with all the details such as date, time and personal details of the person with who the target person is talking through the phone. Ambient voice recording– This is one of the best ways it helps you to get all the noise of the surroundings when the person is talking on the phone. This feature helps you to provide the information about where the person exactly is. By listening to the noise of the surrounding you can know where the person is surrounded too. For example is the employee is late to the office the employer can call the employee and listen to all the background vocals and know the truth that the person Is exactly in the traffic or he is lying. Social chat monitoring-With the help of this feature you can get all the details of the social messenger. You can easily know all the social messenger application that is installed in the target device not only this you can get all the conversation that the target person has done using these social messenger apps. All the activities that are done using these social messengers can also be available to you on your control panel of the spy phone app. All the date, time will be mention with the conversation. What is the need of Spy Facebook Messages App TheTruthSpy? There are various needs of the spy phone app but here are some common needs because of which people use this spy phone app. The most important thing because of which people use the spy phone app is because you can track the people and the people whom you are tracking will never come to know about the tracking done on him. This app is very reliable, and the most impost important thing is it provides you with the right information. 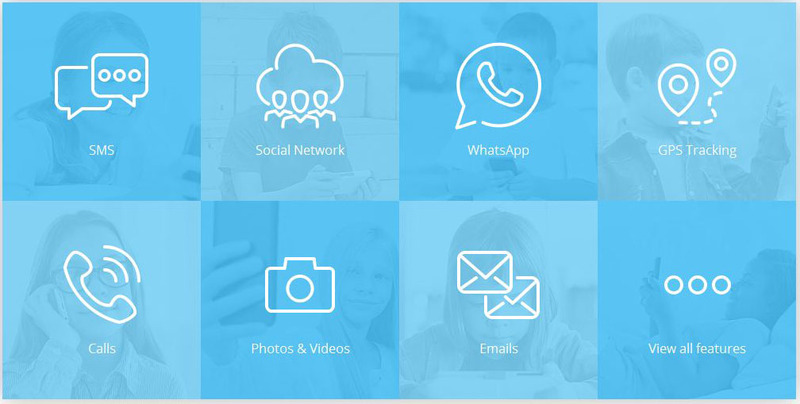 Parents–Most commonly this app is used by the parents as this app helps the parents to provide parental control this app provides parents to have all the control on their children’s phone. Parents can view all the phone calls, messages, social messages and even the location of their children’s can also be known. This app is the best as it helps the parent’s tension free as all the details of the person can be easily available. And because of this, they can keep their children’s safe. Employers– This application is considered very useful for the employees as with the help of this app they can keep a check on their employees about what they are doing during the office times. This app is useful as if the employers are having the doubt on the employees and have the institution that comes employees is leaking the office confidential information outside. Then in such a situation spy can help the employers to keep a track and know which person is doing so. Spouse– There is many partners who cheat on one another. Cheating is the biggest reason of many divorces. It is not worth keeping the relation to the one who is chatting on you, therefore, spy can help you to know the truth as it will help you to know the truth and one of the most important things is the person will never come to know about the spying that is being done on him or her. Cheating can be done on both male as well as female therefore there is nothing that we should hide from. Parents who give phone calls to their children then they are all ways worried about what they are doing on the phone all the. So with the help of this device, you can track all the call records, SMS, and location of their kids. You can easily understand all the activities of your girlfriend or boyfriend if you think that they are cheating on them. All the records of their phone calls, SMS, all the browsing activities can be easily known. With the help of the spy phone app, you can know the exact position of the people. You can get the location of the phone using the Google map. You can find your children they are really in the library, or they are roaming out with their friends. There are many benefits of using the spy phone app. this app can be very easily installed on your phone without taking much time. This system works very will help you o provide you with the best information the information provided to you is reliable. This is one of the best technologies that can be available to you all the time not even a single activity cannot be missed by the spy phone. This app is also considered the best to find the lost phone if in case the target person phone is lost then in such case you can get the all the details of the phone and can find the location of the lost phone. Even if the network of the phone is changed by any person then also you can get all the details as this software does not have to do anything with the network of the device. Spy phone app is considered the best as it helps you to get all information that the target person is doing on the phone. 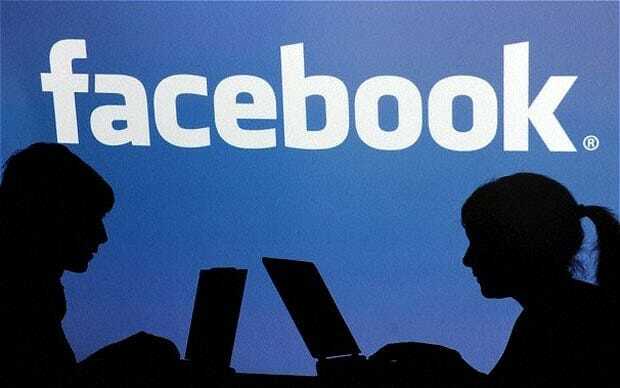 Spy Facebook message is the best as it will help you to give all that is related to the account of Facebook account of the target person. You can get all the details of the conversation, pictures, videos and audio files that are used in the conversation. One of the best things that are provided by the spy phone app is the target person will never come to know about that someone is spying him.